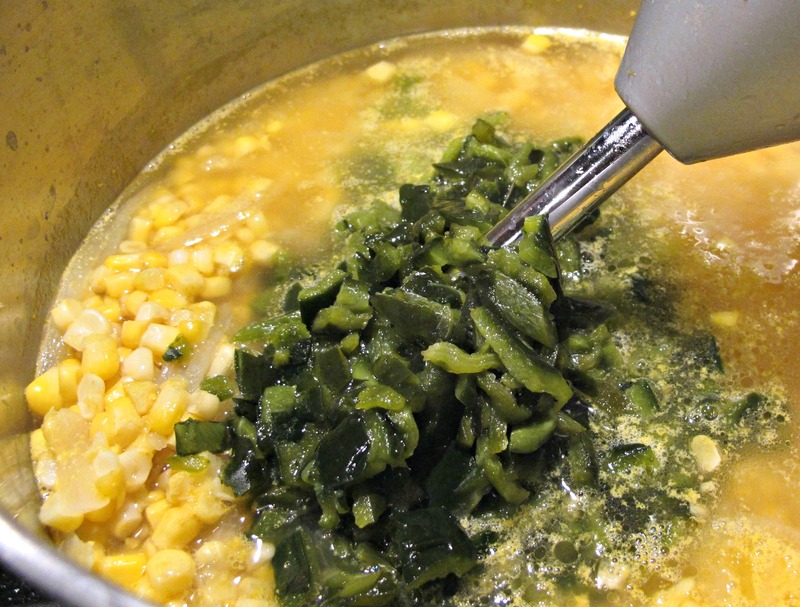 Two of my favorite ingredients come together in this soup: corn and poblano peppers. In this soup, you combine the sweetness of the corn, the smokiness of the poblanos and the creaminess of, well, the cream. The cheese helps too! In a large pot, bring the water and broth to a boil. Add the corn, onion, butter and salt. Cook for 5 minutes and remove from the heat. 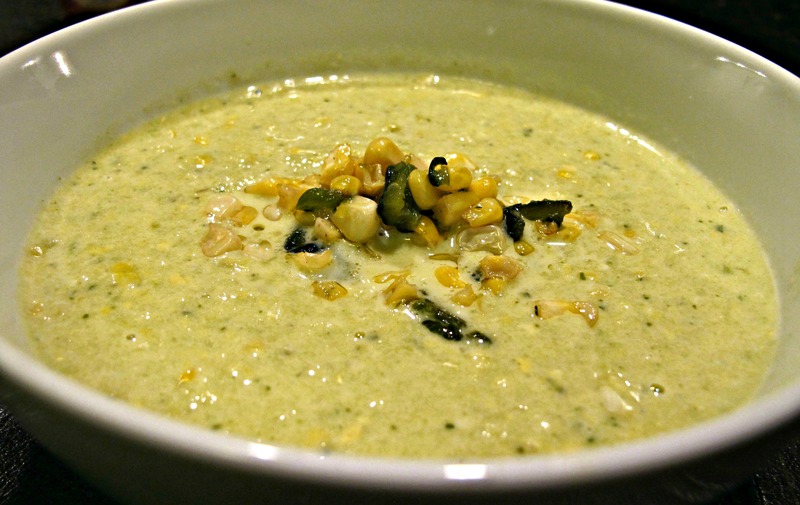 In a blender, puree the corn mixture with the poblano peppers, in small batches, until smooth. Add 1 cup of heavy cream and blend for another 30 seconds. 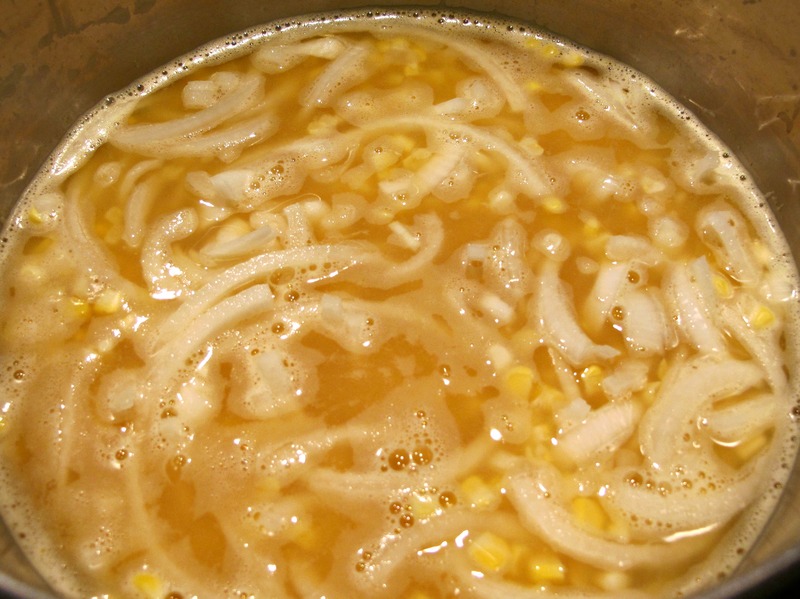 Pour the soup back into the same pot and bring to a boil, over medium heat and stirring frequently. Reduce the heat to low and add the other cup of heavy cream and stir well to combine. Add salt and pepper, to your taste. 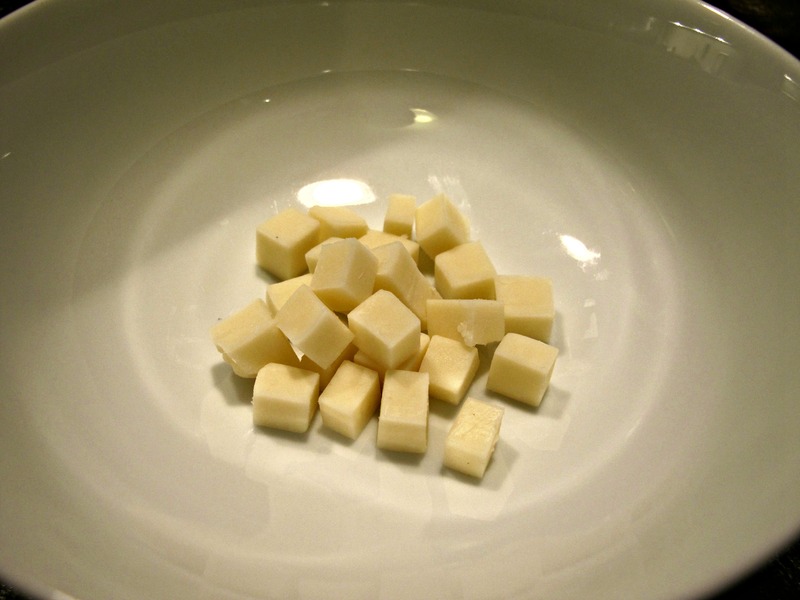 Put 1 – 2 tablespoons of diced cheese in a soup bowl and pour the soup into the bowl and serve. Que pintasa chino!!! manda un ar de litros!!! Hi Rigo, hope you are well. I would love to try this recipe because I love anything with corn. But is there a way to make it lighter without losing a lot of the taste? I am doing well and I hope you are too. This recipe is rich and creamy, but most of the flavor comes from the corn and poblano peppers. I haven’t tried this, but I think this soup would also work well as a lighter soup with 1% milk. Sprinkled cheese on top, optional. I also love corn and, I think, poblanos make help make it taste even better. Thanks, Rigo, and I am well. I am going to try the lighter version. I have not seen poblano peppers in my small, neighborhood grocery store. But I’m going to check in Whole Foods this evening. Will report back on how the soup turns out. One of my resolutions this year is to, once a month, make a dish with an ingredient I have never cooked with before. Poblano peppers will be my February ingredient. That’s a great idea! I should try that too. I hope you find poblanos. They are delicious. Rigo, I did find the poblanos, and the soup turned out well, despite choosing not to add any milk. And the cheese does make it tastier, specially when you don’t add cream. looks yummy! thanks for hanging in there and checking in on my blog! our huge backyard project is finally done, so i’m finally getting back on track! The recipe sounds wonderful–and easy to make. Looks really delicious and satisfying. Ben and I made corn soup the other day, too! It’s perfect for the weather. Just roasted off and froze the last of my poblano crop but may have to pull some out to make this one.